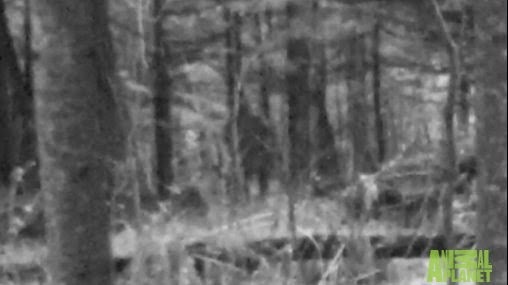 Michigan Bigfoot Captured On Game Cam? This is a very interesting series of photos that may possibly be of a Bigfoot. They were taken by a game cam in the deeps woods of the Upper Peninsula of Michigan. Seems as if a deer which can also be seen in the photo triggered the camera and a mysterious figure that some believe may be a Bigfoot was captured in the background. Speculation is that the creature may be stalking the deer looking for a meal. The Finding Bigfoot team was called in to investigate and the video below is from the recent Michigan episode.